Just looking for some help and advice. I've been struggling with my skin ever since I can remember. Probably since I was 12 or so. At first it was just plain acne, which I tolerated until I was about 17 and then after my first EVER visit to a dermatologist - I instantly got prescribed accutane. Looking back on it I think I was way too hasty to accept the treatment. But the doctor promised great results and I was really desperate to find relief. Everything went as the doctor promised. 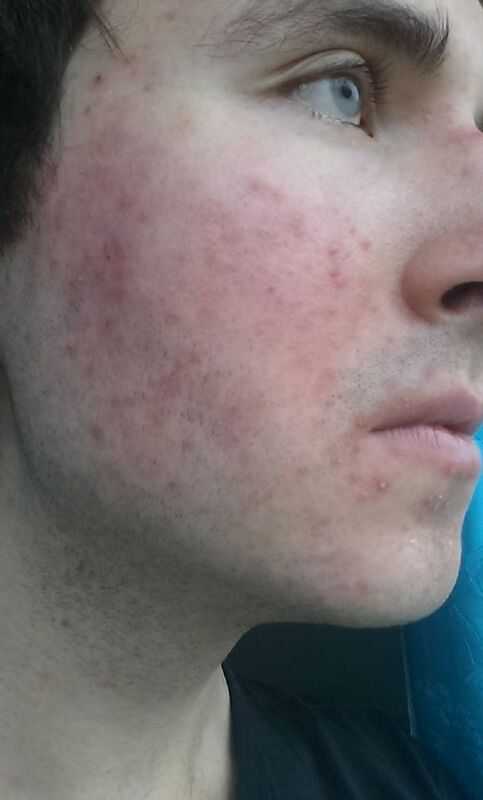 About 2-3 weeks into the treatment I was free of acne. My self-esteem skyrocketed, I became way more social and life seemed much more fun. But my good times were short lived, because a little less than 1 year after the treatment, I started getting this weird red flushing of my skin. Almost like I was blushing, but with a hot burning sensation. Like my face was on fire. Fast forward a couple months and a small hint of redness became permanent and it only got worse from there. The redness increasingly spread and became more visible. It's been about 3 years since my first flushes and now it seems to be a combination of Rosacea and perhaps dermatitis. I wasn't even sure which section to post in. I wonder if this condition could be somehow related to accutane or whether it was just a coincidence? So what have I tried? I've tried Water Fasting for up to 7 days, I've tried taking probiotics, using tea tree oil, soaking my face in a high concentration diluted Sea Salt all kinds of over the counter creams, moisturizers, shampoos etc. But I still haven't found anything. 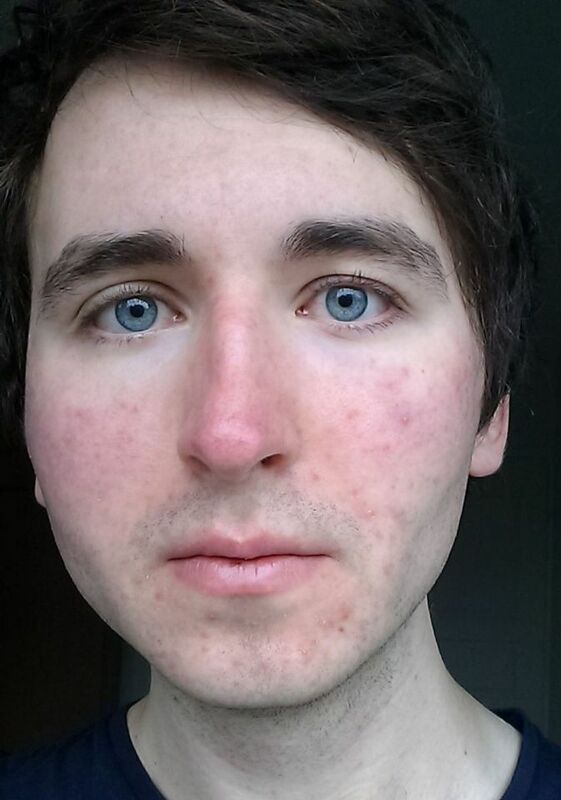 However I did notice times when my skin is much better and also times when it's much worse. In fact this very picture that I'm gonna show you of myself, was taken about 4 months ago and as you can see my forehead is completely clear in it. But right now(4 months later) the middle of my forehead is full of bumps and is inflamed. My forehead has gone back and forth about 2 times already. But I still haven't been able to identify why that is exactly. Anyone has any clue? Was I on to something or was it just random? I'm kinda lost right now and I'm not even sure of what my condition really is. The dermatologist I went to diagnosed me only with seb. dermatitis. It's only after doing research that I identified myself with having rosacea as well. If anyone can offer me any advice or even just a second opinion on my condition would help greatly. I was thinking of going to a dermatologist again, but I don't really trust them. I'd rather first try whatever I can try on my own. You have a very common problem. Millions are suffering from skin problems. Our skin is the largest organ of the body and it suffers from many toxins in our food, water & environment. Try to eliminate the most important cause of toxins first. Eliminate the Chlorine, fluoride or other chemical added to city water by drinking ONLY distilled or mineral water. No soda pop, diet or otherwise as it contains artificial sweeteners that are toxic. No fruit juices.Eat the fruit instead. In a word: Stop poisoning yourself. Stop eating bread that contains bromide. Eat only bromide free non Genetically-Modified-Organisms bread. I suggest going on a strict Paleo Diet to eliminate ALL packaged foods. Lastly, be VERY careful what you put on your face! Use only naturals soaps, no makeup, no chemicals. Natural skin is the best looking skin! Thank you so much for your reply, Grizz. I've been reading up on all of those things yesterday, but didn't reply. So thought I'd let you know. Even if I wanted to try iodine, I have no idea where to get it though. Are the Iodine solutions sold in pharmacies the way to go? I order all of my supplies from Amazon.Com. Free shipping on orders > $30. There are many other suppliers for iodine. Do a google search for Iodoral capsules or for Lugols liquid iodine. I prefer the Iodoral capsules. Every cell in our body includes an iodine receptor, which is required by our immune system to kill fungus, disease & cancers. We get sickly because the toxins of fluoride, bromide & chlorine take over these receptors. The results are devastating to our health, as you can easily see in our testimonials. Optimal Health requires iodine supplements, and Dr. Brownstein recommends 50mg daily. Our neighbor was sent to home hospice to die from her Uterus Cancer. We gave her Lynne Farrow's book (The Iodine Crises) and she started on iodine. 9 months later, all traces of her cancer were gone. She is still doing well today. Author Lynne Farrow cured her own stage 3 breast cancer with iodine, as she details in her book. "I've tried Water Fasting for up to 7 days"
what happened with your skin during those 7 days of water fasting? When was it you tried water fasting? How long time ago? I tried the earlier mentioned Water Fast about a year ago. But I was pretty stupid and didn't take any pictures. I recorded a video each day on my webcam, but they all ended up blurry and the lighting is really poor... Can't see how the skin was looking at all. I'm almost certain that the skin looked better after that week. At the very least the bumps seemed to clear up and no new ones were appearing, but not sure about the redness. However the Water Fast presented me with some symptoms that were really hard to bear. I would get dizzy at least a couple times a day, where I would even need to lean against some object to keep my balance. Another and the most annoying thing for me was heart palpitations. MY HEART WAS GOING CRAZY. I was barely getting any sleep cause of this. I'm talking about heart palpitations here. I assume that's just perhaps a symptom of something else wrong with me and not part of the average Water Fasting experience. But anyway, I didn't try it again and I probably won't. I'd rather address this in terms of diet. But I do still have this curiosity in me, what if I had gone up to 3 or 4 weeks with the water fast... Who knows. I asked about your fasting experience, cause if your face symptoms improved during the water fast, that could be an indication that you are eating some foods that do not agree with you, foods you have problem tolerating. One way to find out what foods you can tolerate, is to go on juice fast or Water Fast or any other restricted diet, and if the condition improves, you use it a starting point to find out what foods you react to. After a several days juice fasting, you include one food item in your diet per day. Whatever food item causes increase in symptoms, worsening symptoms, you eliminate it from your diet for several weeks or months, and you re-test it again later. Whatever food item gives no symptoms, you place it on your white list. Some foods like sugar, food preservatives , margarine, processed foods, MSG, etc should be placed on the "black" list immediately. If an of the natural foods ends up on our black list, you should re-test it every 3 to 6 months. In-between your food testing, you should do a series of Liver Flushes and you should learn about FMT , home made yogurt, paleo diet, low FODMAPS diet, GAPS diet etc. Rosacea and Seborrheic Dermatitis are commonly associated with each other. Both conditions can look similar. I find with Seborrheic Dermatitis you'll often find your skin to be oily with flaking around your nose or anywhere where oil builds up. Typically the T zone and also on your chin. Have you tried applying apple cider vinegar? I think it will help fade your redness and if you do have Seborrheic Dermatitis you should start seeing less flaking.